So ColourPop came out out with a bunch of new stuff, including newer additions to their; Makeup Brush line (smaller brushes for more detailed work), Pressed Powder Shadows (new shades + compacts) and collaboration with iluvsarahii (Arriba! Ulta Matte Lip). They even restocked DGAF Super Shock Shadow which I’ve just been dying to try (everyone won’t stop raving about it)! I wanted to get the Brow Boss Pencils the first time around (when they were actually new), except I accidentally ordered the Precision Brow Pencils instead (haulage here). I figured since I was going to be placing an order with ColourPop anyway, now was my chance to rectify the situation and order the Brow Boss Pencils that I’d originally wanted. So ColourPop were having this deal on all the Liquid Lips (Buy Two get One Free) and I’d been eyeing up several of them for awhile so I decided to jump on it. They were also having another deal where if you bought 4 Pressed Powder Shadows, you got an empty Eyeshadow Palette for free. So I grabbed some Pressed Powder Shadows and a few Super Shock Shadows as well. 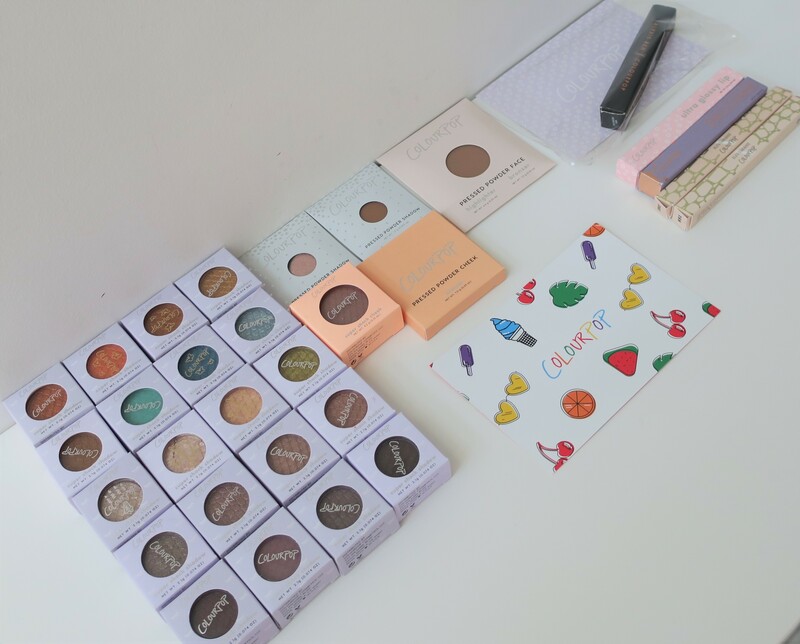 I also got 2 palettes one called $aucey from the collab with Iluvsarahiii (which I actually suggested to ColourPop (because I seriously appreciate her makeup skills) and the other called She from the Karrueuche collab because it looked so pretty! I guess I inadvertently stocked up on Pressed Powder Shadows (palettes and singles) as well as Liquid Lips. Everything shown in this haul came up to a total $100 exactly. They even tossed in a free mini Ultra Satin Lip (in the shade Frick N’Frack) with an apology note, for my order being late! My previous order (hauled here) was placed on July 17 whereas this order was placed on July 20… meaning the first order hadn’t even arrived, before I got suckered into placing yet another order. 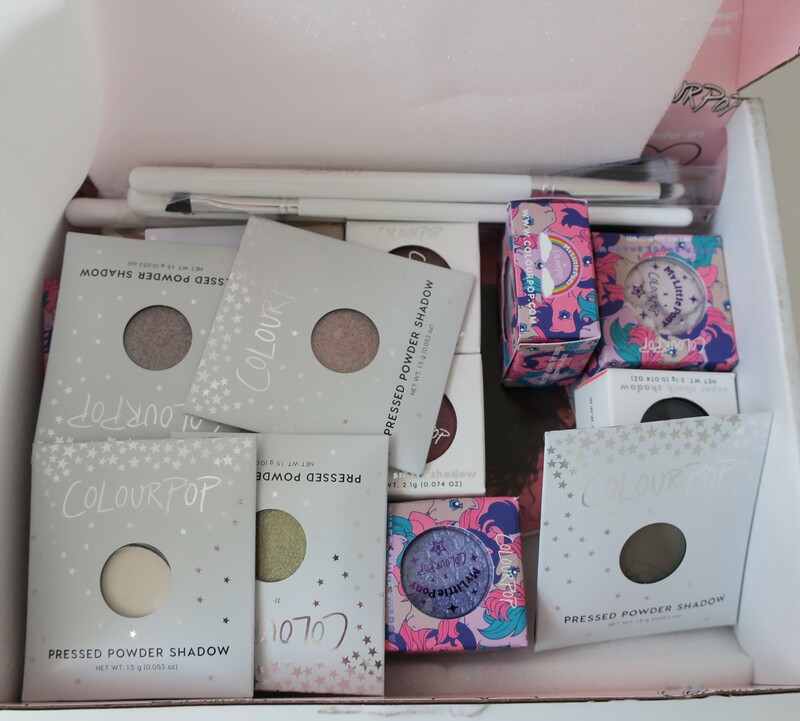 In my defense, ColourPop is awesome!